Two financial institutions will invest in drinking water projects in towns and villages in Benin. These are the Investment and Development Bank of the Economic Community of West African States (ECOWAS) and the Kuwait Fund for Arab Economic Development (FKDEA). The drinking water sector in Benin is on the move. Two development partners will invest in several projects across the country. The Economic Community of West African States (ECOWAS) Investment and Development Bank plans to inject nearly 24 billion CFA francs, or 36.5 million euros. The money is intended to finance village water supply. More specifically, it is a project to build, strengthen and rehabilitate 44 drinking water supply systems in several rural municipalities in Benin. The authorities will build 37 drinking water supplies and expand seven others. The Beninese government estimates that it could thus relieve the lives of 224,000 inhabitants of these various rural municipalities in the country. The work is expected to be completed in 2021. The loan proposal from ECOWAS Investment and Development Bank has just been sent by the government to parliament for approval. In the meantime, authorities also signed a loan agreement worth CFAF 10 billion (more than €15 million) with the Kuwait Fund for Arab Economic Development (FKDEA). The money is for the funding of the project to strengthen drinking water supply systems in the cities of Boukoumbé (north), Covè and Zagnanado (centre). These three cities are located in “difficult hydrological zones”. 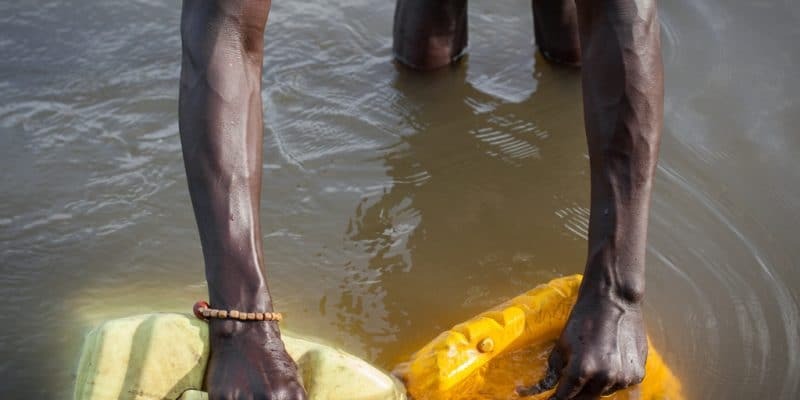 The Beninese Water Company (Soneb), which is implementing this project, says that providing water to the populations of these localities remains very problematic and represents a serious obstacle that requires major financial investments. Access to drinking water for all in Benin is a major challenge for the Beninese government, as outlined in the Government Action Programme (GAP) set up after President Patrice Talon came to power. The mobilisation of FKDEA funds by Benin is part of the implementation of the Project to strengthen the drinking water supply system of these three municipalities and their surrounding localities, “a project initiated to improve the situation of the Boukoumbé, Covè and Zagnanado people”. The Soneb will then be able to modernise, densify and consolidate its infrastructures while securing drinking water supplies in the municipalities concerned.